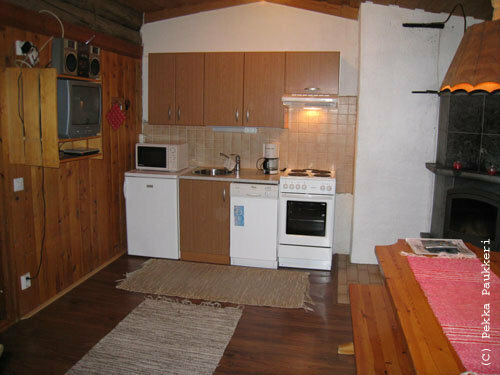 kitchen, sauna, bathroom with shower and a separate toilet. 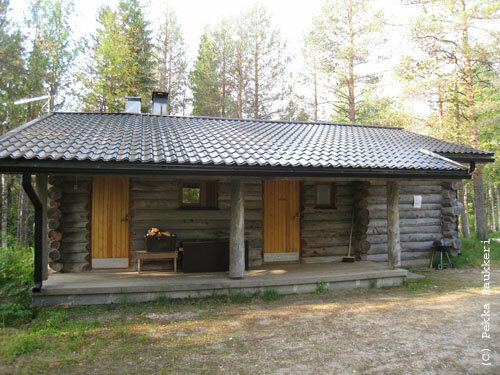 The entrance to sauna and bathroom via porch. 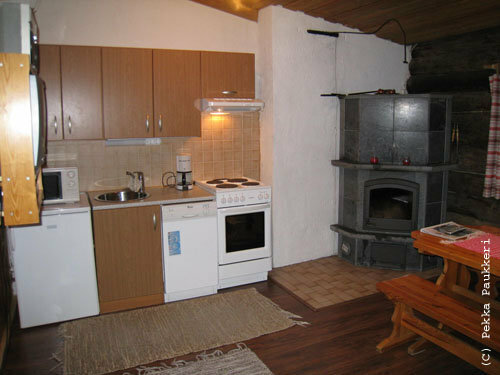 a shared hut where facilities to barbeque by open fire. 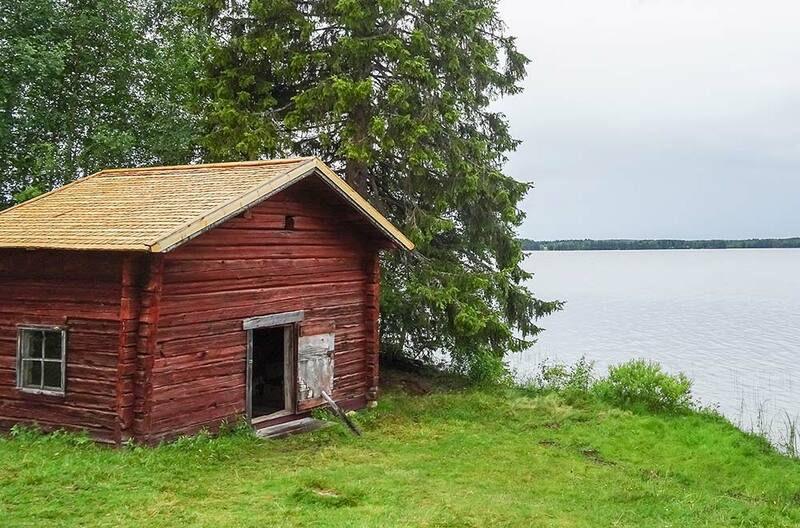 Peaceful location at Kelosyöte cottage area by lake Kovalampi. and an outdoor jacuzzi as well as a building for get-togethers or meetings, seats for 20 persons. 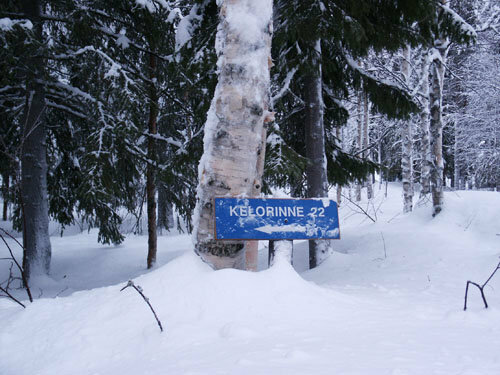 Excellent cross-country skiing facilities right next to the cottage area. 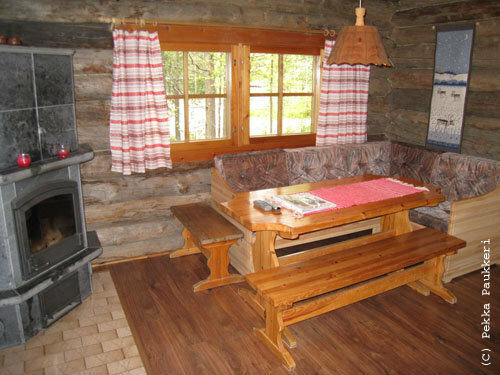 On the area a small Lappish hut café. No smoking inside the cabin. Pets allowed.